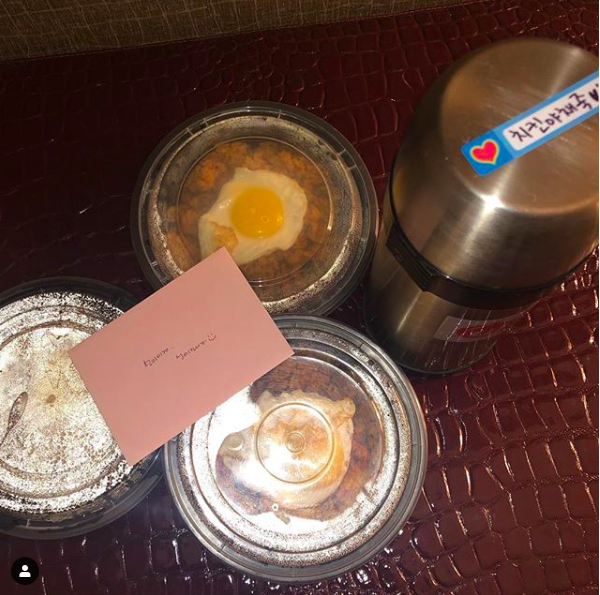 Sunye sent love and support to Sunmi along with a thoughtful lunch box. Both Sunmi and Sunye debuted in 2007 as members of girl group Wonder Girls. Even after the disbandment of the group, the members continue to support each other in their own fields. Sunmi launched her first world tour as a solo artist on February 24. As the artist is currently in Canada for her performance in Toronto, fans are guessing that the two could have met each other in Toronto. Married to missionary James Park in 2013, Sunye is living in Canada with her three children.